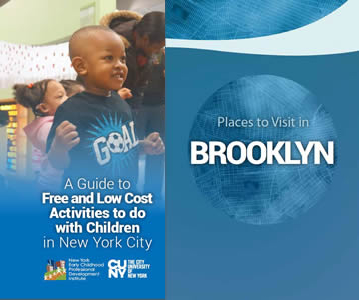 Welcome to the ACS/CUNY Informal Family Child Care Project Guide to Free and Low Cost Activities to do with Children in New York City! As a child care provider, you have the unique responsibility and joy of caring for children during an important time in their lives. Being out in the world adds variety to the day and helps children develop a sense of themselves and the world around them. 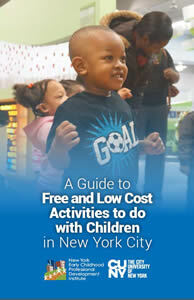 We hope this guide makes your time with children easier, more interesting and more FUN! 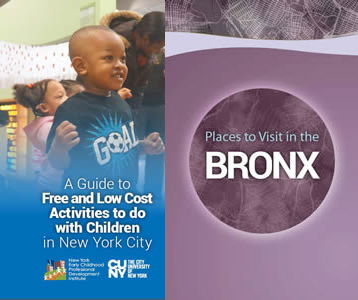 Outings with children can include short trips – like a daily walk or a visit to a local park, library, or grocery store – or longer outings to specific destinations. 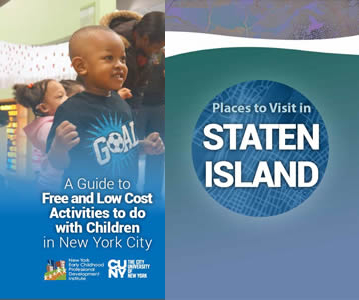 In this guide, you will find information about places to visit with children and tips for making your outings safe and engaging. 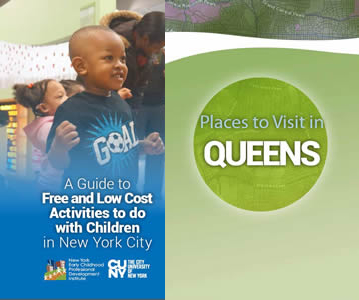 The guide is organized in two ways – by borough and by type of experience or venue – and puts information about the diverse resources NYC has to offer at your fingertips. Whether you are caring for one child a few days a week or several children on a regular basis, you are building relationships and providing important learning opportunities through the choices you make every day. 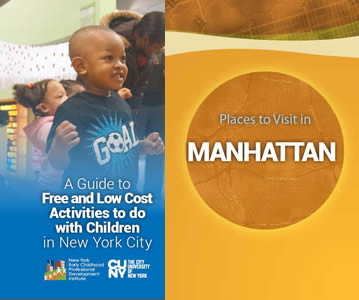 IFCC created this guide for you, to share information about the rich resources and experiences available for young children in New York City, many of which are free or low cost.